751T-SS-DST is rated 3.0 out of 5 by 4. Rated 3 out of 5 by Jim from Automatic off an on goes crazy after several months I bought two of these Faucets for our master bathroom. Look great and worked well for several months. Mine (of course) gets three times the use of my wife's side and for the past several weeks ( I have changed out the batteries three times already) will come on at first, than just shut off and stay off. I have tried all the little tricks I know, but the only thing that works is to wait 15 minutes and it will start working again. Also at night, it will start shutting off and on for several minutes. 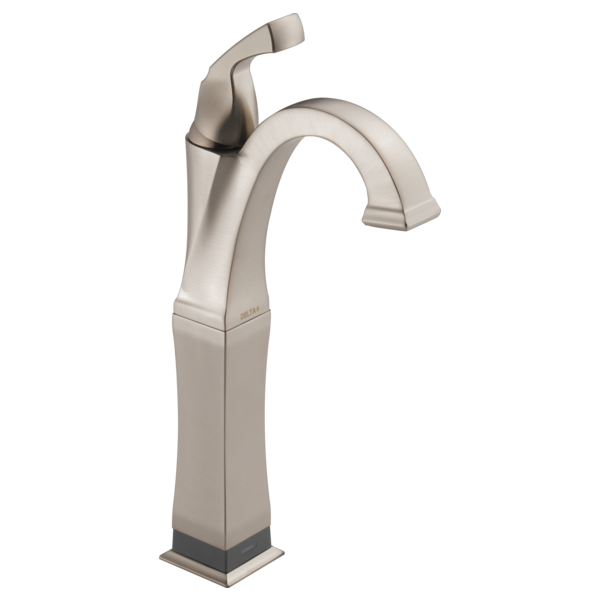 Love the faucet, going to try and figure out the issue(s). 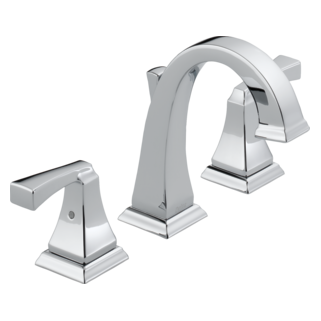 Rated 4 out of 5 by Sanchit from Nice Buy I would recommend this Vessel Sink faucet. Goes extremely well with my Java Granite Vessel Sink and the touch feature is pretty good. Rated 1 out of 5 by Kirin from One senses ghosts, the other needs to be touched I have three Dryden with Touch20 technology. 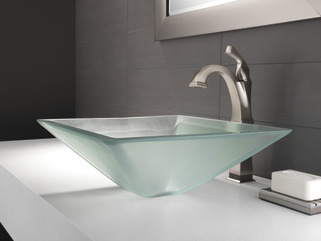 A short one in a single basin vanity without any problems. And two tall ones on the dual vessel vanity. The vanity is 72" quartz. Black marble vessels. 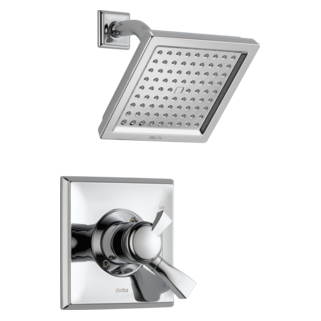 Spacing between the two faucets are 36". I have placed the battery packs as far apart as they can be on the floor of the cabinet. The one on the left closest to the window has spontaneously activated once when I was in another room, and twice when I am either sitting in front of it or fiddling around with the unit on the right. The unit on the right, doesn't do the handsfree feature. It needs to be touched to turn on and off. Lever action on both is fine. The grounding wire has been bolted down but to no avail. 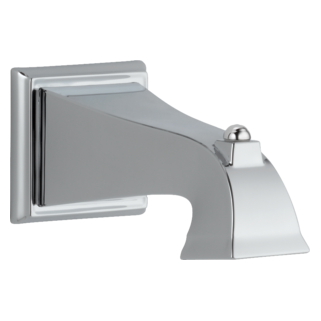 Does this faucet have a sensor activation (3 way on/off), or just the choice of handle or touch activation? Could you utilize the &quot;touchless&quot; component with a vessel vanity? I have two of these on a dual vanity. One works with handsfree. The other does not. I don't know why. But I am waiting for Delta to get back to me with a solution/suggestion. :-) Check out my review. Can the hands free sensor be moved to the middle joint above the riser to function over the rim of a vessel sink? All the images and diagrams show the sensor at the base and i would like to know if the hands free sensor can be set in line between the riser and main body? The sensor seems it would be blocked at the base when set behind a vessel. How I can clean the faucet? Can I get this without the Touch20 Technology?